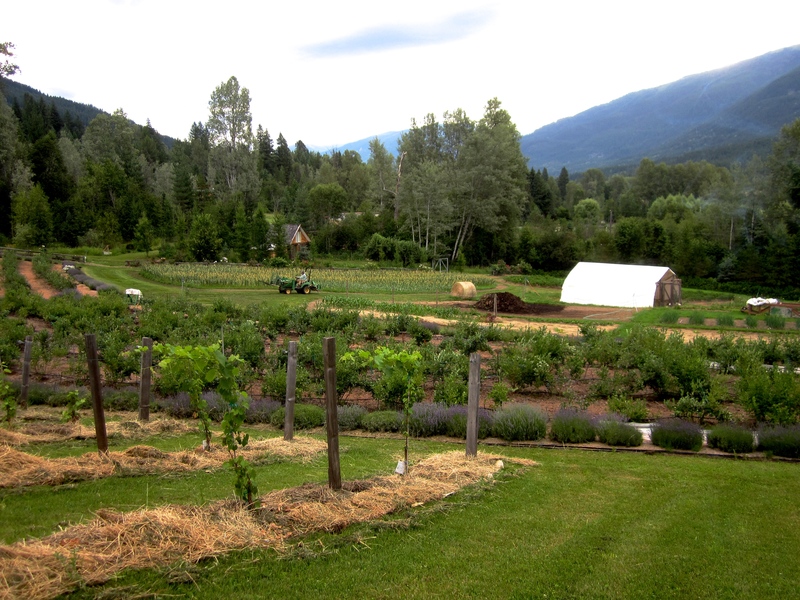 Located in the beautiful Slocan Valley of British Columbia our five acre farm bursts with good food and pleasurable beauty throughout the season. Whether for sale or for our personal enjoyment, everything on the farm is organically grown and receives the attention necessary for producing healthy and productive crops and gardens. We have grown a lot of food for others since we began farming in 2008, and with some sadness and relief we have let some of our crops go. Today our focus is on our blueberry and flower fields which bring us, and those who come to the farm for some locally grown nutrition and beauty, a great deal of joy. Our blueberries and flowers are available at the farm, local farmer’s markets and grocers, and our through our popular bouquet subscriptions. One must be comfortable with all kinds of flora and fauna to fully enjoy our ornamental gardens and the lavender plantings that are located in different parts of the farm. The flowering trees, shrubs and herbaceous perennials that we have planted over the years have become home and forage for numerous birds, beneficial insects, wild pollinators and our honey bees. If it was not for the later two, we would not be able to grow what we grow, and the beauty and bounty of our food and flowers would be lost. We love what we do and are committed to our farm work, and to being the best land stewards that we can be.